The Honeywell LTE-IV is the first-ever dual-path IP & LTE communicator for VISTA Series Panels. The device uses a hardwired ethernet connection as the primary path. If the internet goes down, it will switch to its Verizon LTE cellular backup. Purchase the Honeywell LTE-IV from Alarm Grid. The Honeywell LTE-IV represents the ultimate communicator for VISTA Alarm Panels. This dual-path communicator uses a hardwired ethernet connection for IP connectivity. If the internet goes down, its connection with the Verizon LTE Network serves as an ultra fast and reliable backup. Before the Honeywell LTE-IV, there was no dual-path communicator for a VISTA System that accessed an LTE cellular network. Older modules could only connect with slower networks, most of which are set to be discontinued in the coming years. But Verizon has given their word that they will maintain support for their LTE network well into the very distant future. By adding a Honeywell LTE-IV to your system, you will ensure that your VISTA Control Panel maintains an active and reliable connection with the AlarmNet360 Servers for many years to come. Like most AlarmNet communicators, the Honeywell LTE-IV will let your compatible alarm system work with the Total Connect 2.0 service. This remote platform can be accessed from nearly anywhere using a web browser or the Total Connect 2.0 Mobile App. Once you have logged into your account, you will be able to Arm and Disarm your system, check current system and zone status, control Z-Wave smart home devices (Z-Wave controller required), and more. The Honeywell LTE-IV will work with any VISTA 15P, VISTA 20P or VISTA 21iP panel for the purpose of reporting alarm signals. In order to support the Total Connect 2.0 platform, the panel must be running a high enough firmware version. This is Version 9.12 or higher on a 15P or 20P panel and Version 3.13 or higher on a 21iP. You can check the current firmware version by examining the panel's PROM Chip. This is a small black chip inserted on the panel's main circuit board. 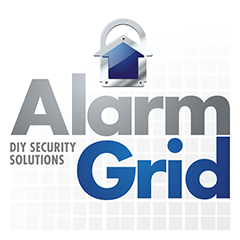 If you need a firmware update, Alarm Grid offers the appropriate PROM Chip replacements. We have 15P PROMs, 20P PROMs and 21iP PROMs available.